In Magnetron Sputtering Deposition (MDS) the coating/target material are placed on a magnetron cathode. 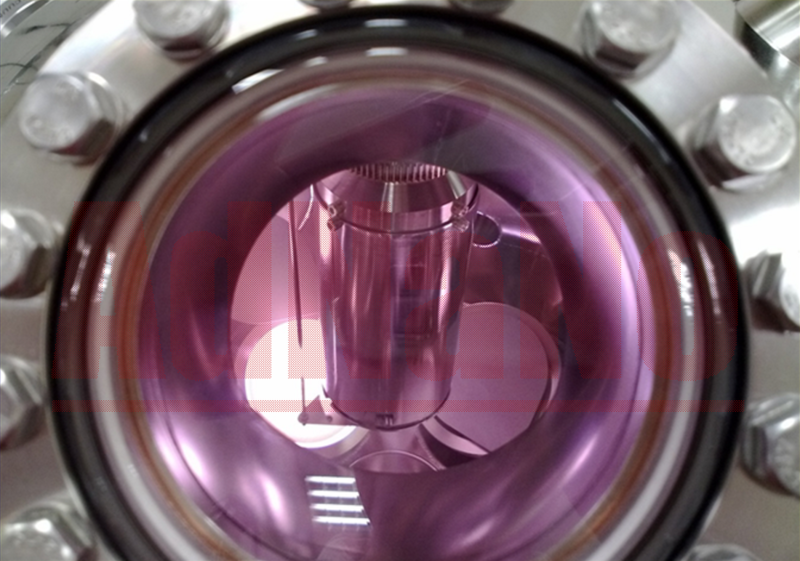 The chamber is evacuated at ultrahigh vacuum (UHV) condition to reduce impurities and to ensure pure coating process. 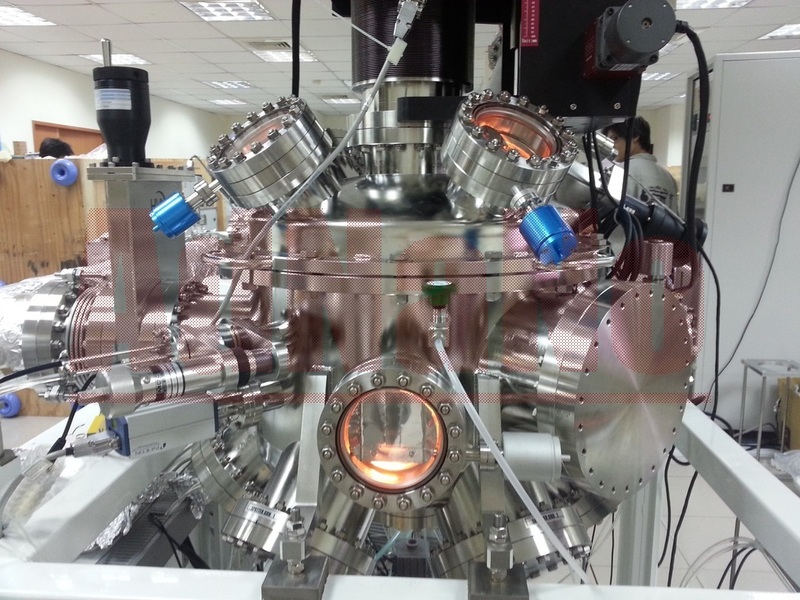 Then the chamber is back-filled with the process gas (usually Ar). Electric potential is then applied between the target material and the substrate, which will then cause free electrons to accelerate, while magnetic fields from the magnetron will confine the electrons near the target. The electrons will then collide with the process gas creating a positively charge ions. Some ions recombine with the electrons, light will be emitted as can be observed by the plasma glow. On the other hand, some of the ion will accelerate towards the target and sputter off its surface atoms. The sputtered atoms will then travel towards the substrate forming thin-layer film. Magnetron Sputtering require precise pressure control (i.e control of the vacuum pump system, and control of in-flow of process gas) in order to maintain the plasma glow and sufficient amount of ions to sputter the target atoms. 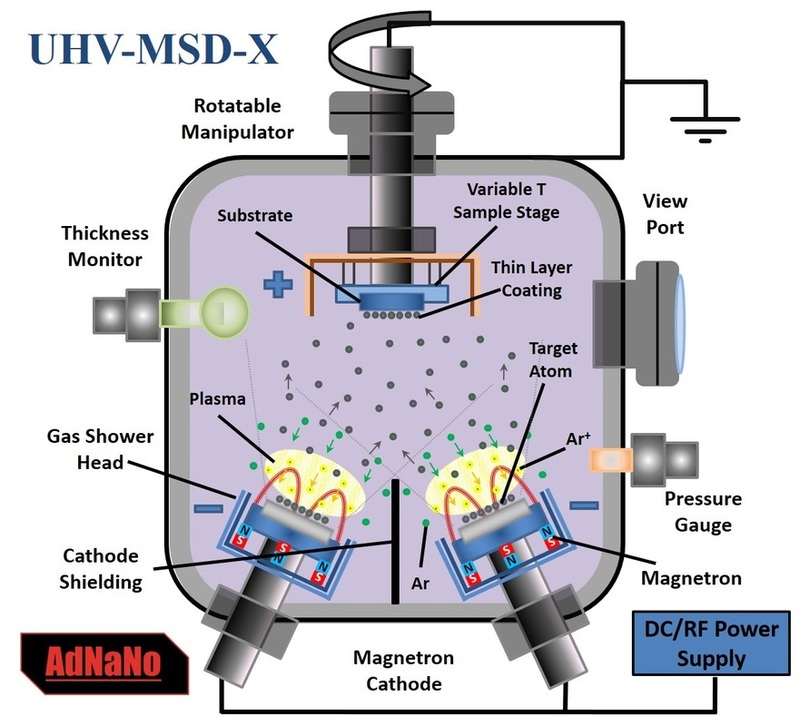 AdNaNoTek's Magnetron Sputtering Deposition System has reliable vacuum pump system and software controlled Mass Flow Controllers (MFC) to ensure these required criteria. FBBear system control software can control the process gas rate, pump intake, exhaust in order to maintain sufficient amount of ions to sputter the target atoms.